The herb bed is much more attractive now that the chives are in full flower… not only to me but to the bees and hoverflies. The marigolds are just beginning to flower. 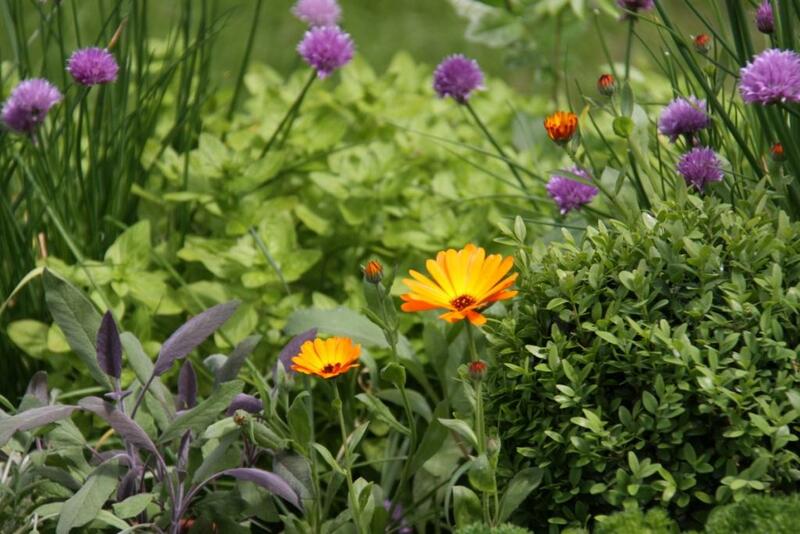 This is Calendula officinalis ‘Indian Prince’. Apparently you can eat the petals with a salad. I haven’t tried that yet but we do sprinkle the chive flowers over our salad. They have a lovely mild onion flavour.